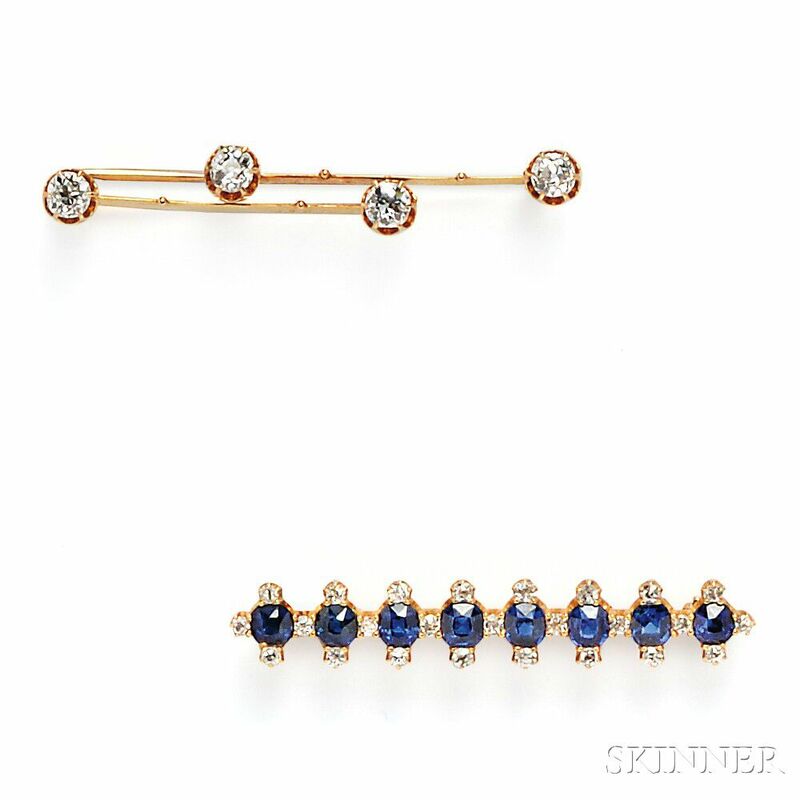 Two Bar Brooches, one set with eight cushion-cut sapphires and old mine-cut diamond melee, 14kt gold mount, the other set with four old mine-cut diamonds, approx. total wt. 1.00 cts., 18kt gold mount, each lg. 2 in.